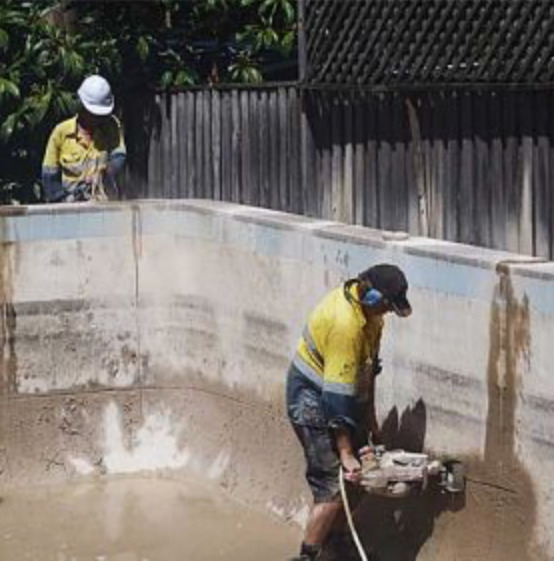 No matter what type of job you have on that requires professional cutting service - roadworks and civil engineering, plumbing, electrical work, construction, owner-builders, mining, or air-conditioning - Nova-Cut Concrete Sawing are the region's most trusted name. Whether it's cutting broken concrete for repair work, drilling holes in slabs and walls for electrical conduits and plumbing pipes, creating doors and windows in pre-formed walls, Nova-Cut have the knowledge and the experience to handle the job. As an environmentally-friendly company, safety and slurry control is our main priority on all jobs, no matter how big or small. 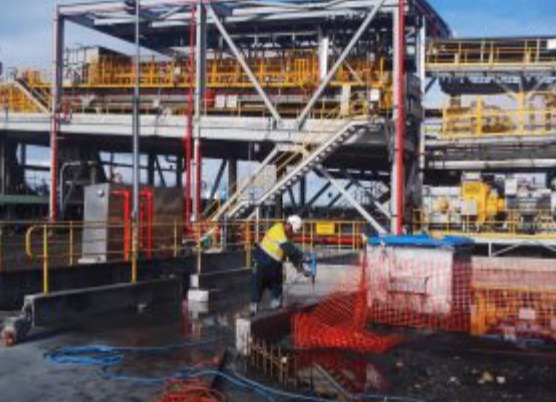 Nova Cut have performed concrete sawing work for Broad Constructions, Abi Group, HL Mullane Plumbing, and done subcontracting work at Port Waratah Coal Services. 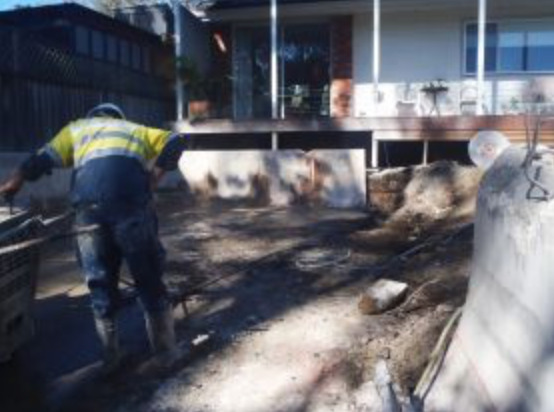 Broad Constructions, Abi Group, HL Mullane Plumbing, Port Waratah Coal Services. Want your floors to look stunning? Nova-Cut Concrete Sawing can help you achieve this. This technique involves polishing the floor with progressively finer diamond grinding tools until it reaches a flawless sheen. Any concrete floor can benefit from this process. 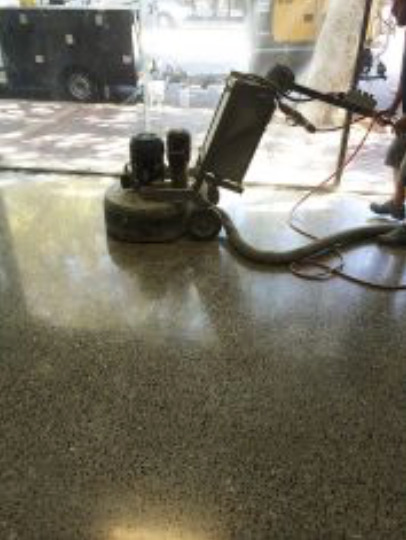 Whether you need to fill cracks or give your building a sophisticated air, concrete polishing can provide the solution you need. 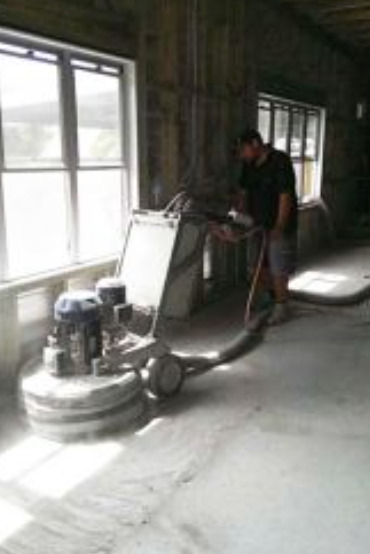 Contact us for expert advice on concrete polishing in the newcastle area. Our floors also offer heightened environmental sustainability. Most buildings stand on top of a concrete slab, and their builders or owners cover that slab with other flooring options. 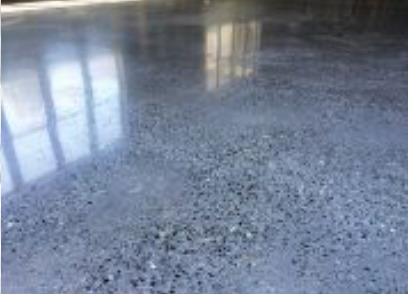 A polished concrete floor helps you eliminate the energy and materials consumed by using those other options. We'll cut your concrete floor with diamond abrasive grits, usually going over it 3–8 times depending on your preferred sheen. We then apply a densifier, which hardens the surface and makes it more stain-resistant. After waiting for the densifier to dry and cure, we finish the polishing process with more abrasive grits. 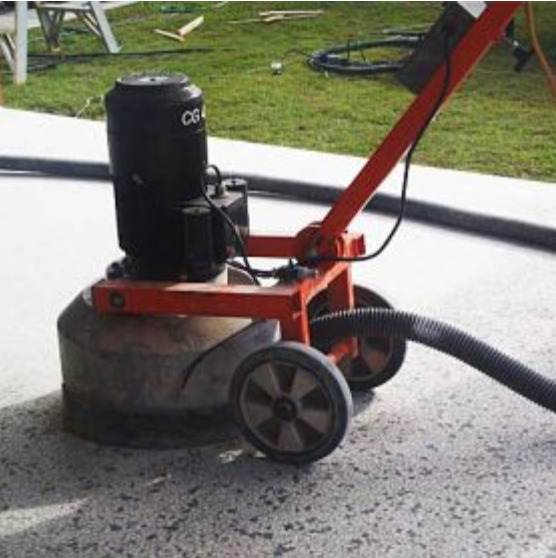 At that time, we can apply stains and dyes to enhance your concrete. We can also create grids, radial lines, borders, bands and other designs. 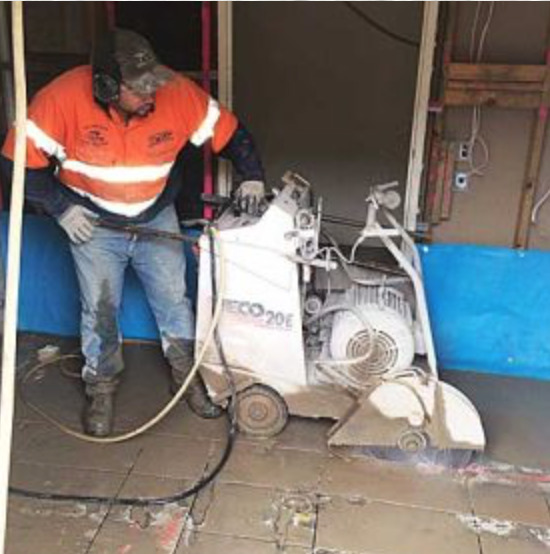 Quick and precise cuts on flat concrete or bitumen surfaces such as floors drivewaysfootpaths, suspended slabs and all types of road surfaces. Depths from 30mm to 800mm deep. Petrol, deisel or electric cutters. Primarily used for plumbing and drainage services, electrical conduits and road works. Able to perform small or large jobs inside where a petrol saw can not be used due to fumes. Such applications would be inside shopping centres, hospitals and any area where there is a high volume of people. 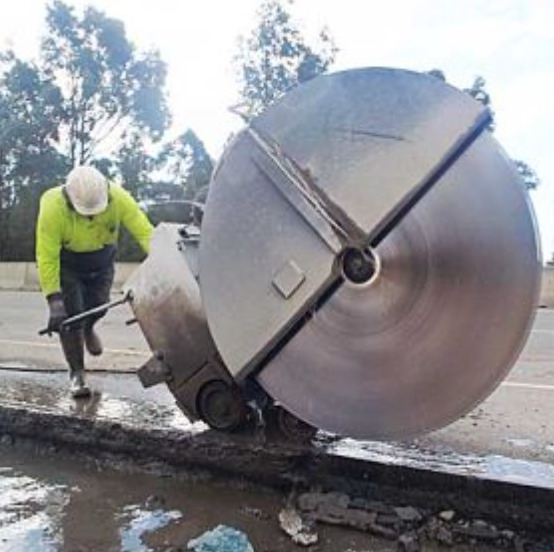 The electric road saw is able to cut 320mm deep. Used to cut precise circular holes through re enforced walls and floors. Can be used for applications such as electrical conduits, plumber’s pipe work, and for holding bolts for steel erection. 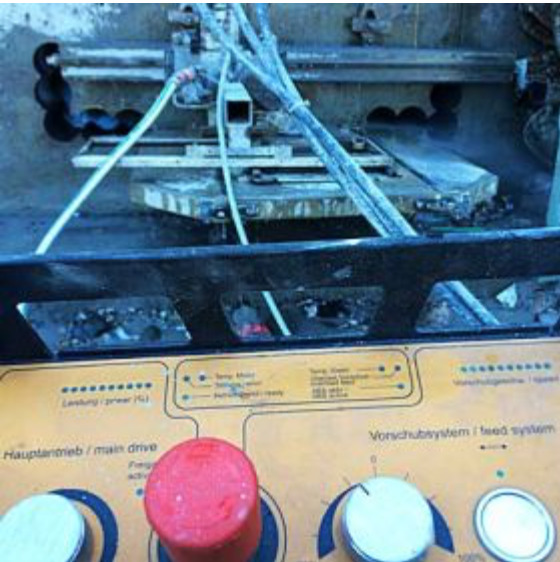 Core sizes ranging from 18mm to 1m diametre to any depth using electric and hydraulic equipment. 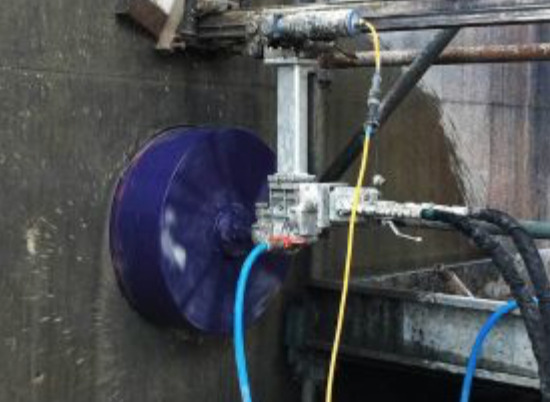 A diamond blade on a track mounted system that can be used for vertical, horizontal, and even inverted cuts. Can be used on steep surfaces or floors where it is not possible to use the road saws safely. Mainly used for cutting precise openings for doorways windows and ventilation units. Can be used to make cuts up to 720mm deep - the applications for this saw are endless. Used to cut small areas were a conventional road saw can not get to. 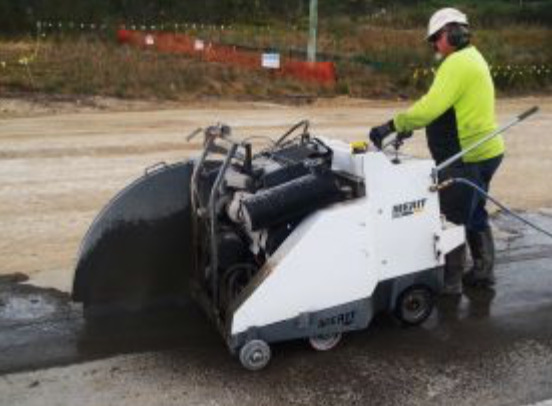 Used for smoothing concrete surfaces that have become rough through weather or issues during pouring. Most commonly used to bring two unlevel surfaces back to the same height, thus avoiding trip hazards. Sealing of expansion joints in concrete is done quickly and precisely. Silicon-based joint sealants are RMS approved for high movement areas. Applications include highways, airports, workshop slabs and decorative concrete. 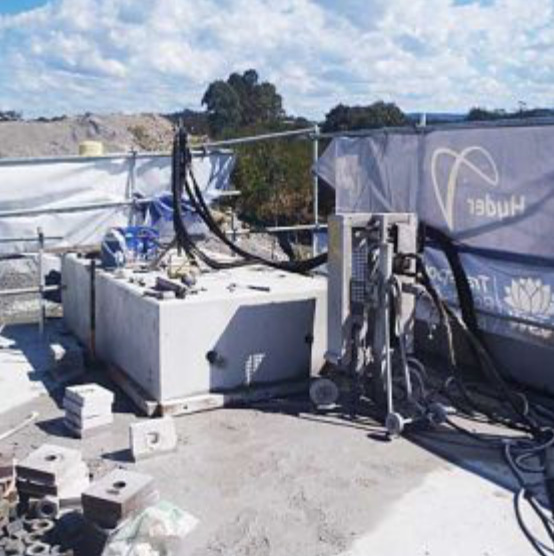 A system for early concrete sawing whilst the cement is still green and relatively soft. Enables concrete to be cut within 1 to 2 hours after finish. Provides flexible, versatile and clean cuts. No vibration and little noise. Any size or shape of concrete structure can be cut. 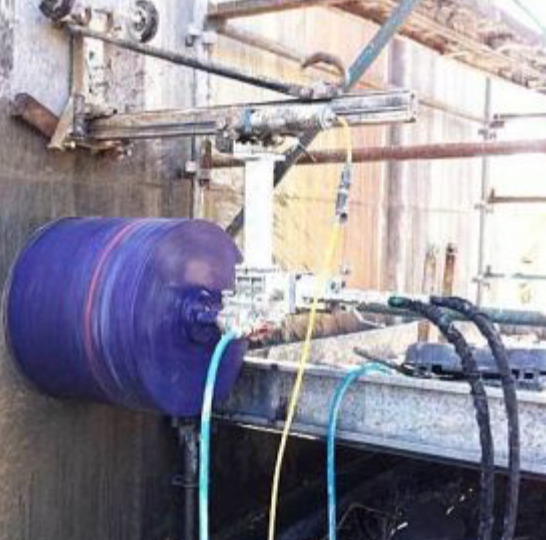 Water vacs for slurry control. We take our commitment to the environment very seriously, and will take every measure to ensure that no mess is left behind. Power Generators. Sometimes power may be unavailable or inaccessable, so if any such issues with power are a concern we can arrange alternative power supplies. If any of these are required to do a job, we are happy to arrange the hire and take out the hassle of organising such equipment yourself. 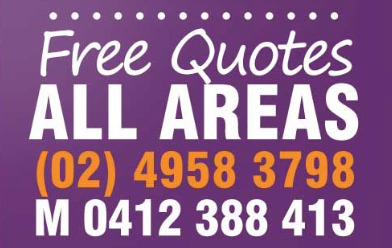 Please contact us for quotes on hiring these as part of a Novacut job. 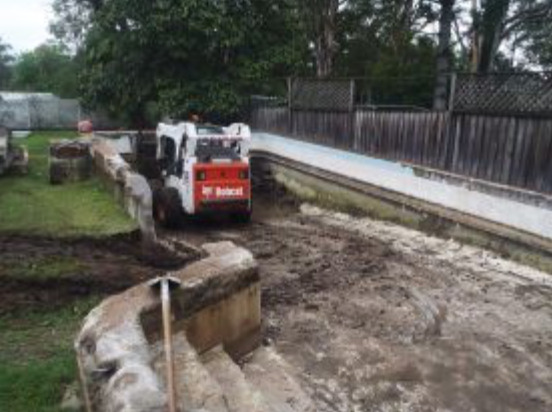 Pool Removal in Maitland, finished on time and under budget! 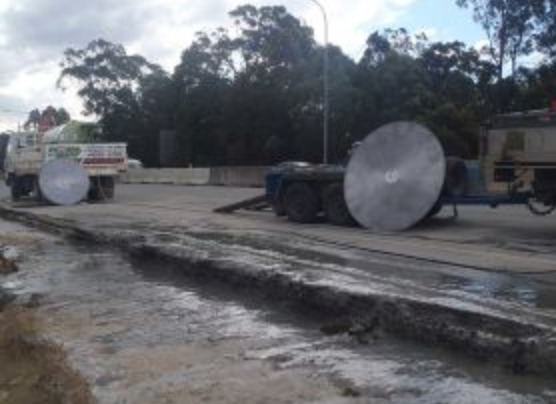 Road Sawing; 700mm deep for Thiess on the Hunter Expressway.